A new dispatch to remind you completing the survey of Backerkit, to show you it's possible to play Lex Arcana in museums and cultural associations, and to talk about the Ring of Pontius Pilate. More of the 90% of the backers have completed the official Backerkit survey, to define their pledge and the specifics of the rewards they are entitled to, also adding other books and accessories related to the game. After completing the survey, you have the possibility to modify it everytime, until the final closure, but in the meantime you will have the work done. A few days ago the inscription on a ring found in the Herodion, the fortress near Bethlehem in the places of the life and death of Jesus of Nazareth, has been deciphered. 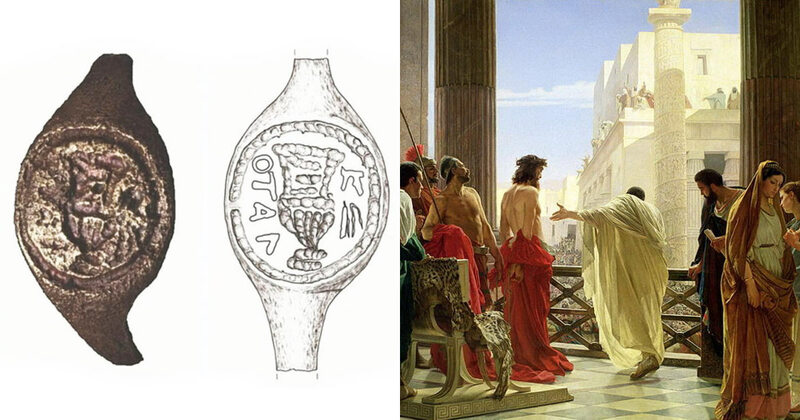 According to the archaeologists, it's the Ring of Pontius Pilate, the most famous of the prefects of Judea, given his involvement in the Crucifixion. The artifact is a bronze seal, and someone already speculate that it was worn at the very moment of the death sentence for Jesus. To find out more, you can consult the many articles that are appearing in these days on the subject. But how to insert this ring in Lex Arcana? ...is not impossible, after all! The union between popularization, history and teaching often generates interesting situations and ideas. From this point of view, many people think that Lex Arcana would be a perfect game to be presented in a museum, and someone has already done it! 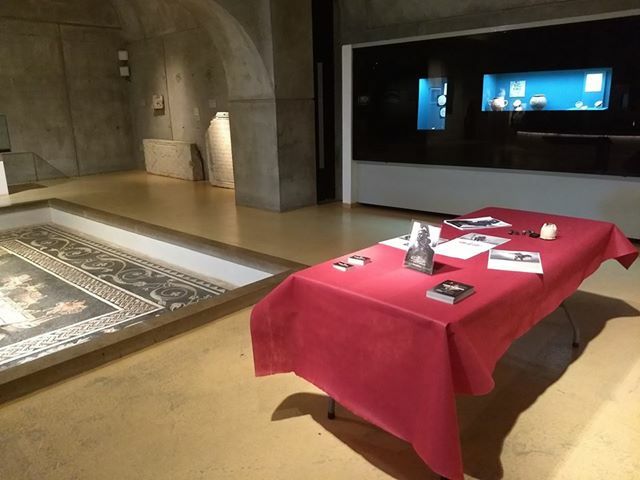 This picture comes from the Gallo-Roman Museum of Fourvière, in Lyon, where Sébastien Vicard has organized a wonderful session! If you can do similar things too, send us your photos: we will share them with pleasure!